Imst region: experience the mountain summer in the vertical world! The holiday region of Imst offers many unique climbing possibilities. 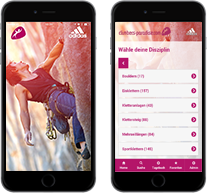 It is one of Austria’s top climbing spots, providing more than 3.000 sport climbing routes in all difficulties for climbers of all levels – beginners, hobby climbers and pros. Austria’s highest climbing wall is also located in Imst. The crags are in great condition as they have been well maintained and further developed over the past few years. The crags around Muttekopf Hut (“Muttekopfhütte”) and on the Latschenturm are breathtakingly beautiful. There are sport climbing routes for both beginners and more experienced climbers. Here is a link to the print version of all topos. Have fun climbing! If you don’t want to hike down, you can also take the Alpine Coaster – a rollercoaster, that takes you back to the base of the mountain in high speed. On rainy days, you can visit one of Tirol’s best indoor gyms: the local climbing gym in Imst. Imst in Tirol and the surrounding holiday villages in the Oberland region have a lot to offer at all times of the year. You can go climbing, hiking, mountaineering, swimming, mountain biking or rafting. There are also many cultural events like theatre plays, classical concerts, open-air performances, Erntedank (the Austrian Thanksgiving) and the “Schafer Festivals”. These typical events provide a lot of variety in the Oberland region. Visiting Area 47 with its spectacular climbing park is definitely a must-do! The climbing tower „Sonnendeck“ in Imst: the impressive pyramid-shaped climbing wall makes every climber’s heart beat faster. Families and kids are very welcome! Oberland has four certified climbing gardens, which are also convenient for families with children. We particularly recommend the climbing garden „Botanischer Garten“ in Nassereith, Tirol. For experienced climbers we recommend a visit to Hahntennjoch. The alpine terrain is home to great climbing, even after a few rainy days. The “Three Hut Tour” (“Drei Hütten-Wanderung”) offers both accommodation high above Imst and culinary pleasure. For more information, contact the tourism association Imst in Tirol.